Amazon India has introduced peer-to-peer sales of used goods, wherein a user can sell products on its platform by registering as an individual seller. The pilot is currently operational in Bengaluru. The programme, called 'pick-pack-and-pay', comes after Amazon introduced the sales of used books in August 2016. The move is seen as an attempt to take on the likes of online classifieds firms, such as Bengaluru-based unicorn Quikr, which introduced a similar service 'Quikr Doorstep' in March 2016, and Naspers-backed OLX. An Amazon India spokesperson told TechCircle in an emailed response that 'Sell as Individual' is a global Amazon programme, and based on the company's learnings in Bengaluru, they will consider expanding to more Indian cities. The spokesperson added that the programme has been tweaked based on the specific needs of the Indian market. Amazon users can go to the Amazon.in site and register on the 'sell as individual' page. The website says users can list their products with the product title and the price they are seeking. The company will pick up the product from the seller's doorstep and ship it to the buyer. Amazon says the seller will "receive the money in 3-5 days." To reward customers enrolling for the programme, Amazon is also offering cashback on its wallet. Amazon has been trying different things in the Indian market of late. In December last year, the Jeff Bezos-led company launched a pilot of in-home beauty services, taking on the likes of Quikr and home services startup UrbanClap. To interact more with the Indian startup community, it launched its global programme for startups, Amazon Launchpad, in the country last month. Through Launchpad, Indian startups can market their products to Amazon customers around the world through an e-store. 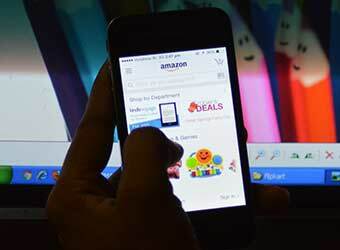 Amazon is engaged in a fierce battle with local rivals Flipkart and Snapdeal to gain dominance in India's e-commerce market. The firm has launched a number of initiatives to strengthen its India play. Last year, in a move to grow its presence in the fashion segment, Amazon India introduced its second in-house private fashion label, Myx, an ethnic wear label for women. In October 2016, the firm launched its 'Global Store' to give Indian customers direct access to products on its US website. During last year's Diwali festive sales, though Flipkart came ahead by selling 15.5 million units, Amazon India was not far behind, having sold 15 million units. Just ahead of Diwali, Amazon India introduced its flagship Prime membership service for the Indian market, promising to deliver products within a day or two.